Do I need to complete Form I-765WS? Deferred Action for Childhood Arrivals (DACA). 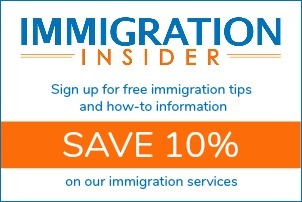 If you are not applying for work authorization under one of these two eligibility categories, you do not need to complete and file Form I-765WS. If you do fall into one of these two eligibility categories, complete Form I-765WS and file it with Form I-765, Application for Employment Authorization. It’s a required component of your application. What counts as income on Form I-765WS? Current annual income is the total of your earnings within the last 12 months. This includes money earned “under the table” in cash. If family members helped support you, you should add a value for the support you received. Scholarships that provide you with money for academic purposes do not count as income. On the other hand, scholarships that provide for living expenses do count as income. Additionally, money that is gifted to you in a lump sum that you keep in your savings account is an asset. You do not need to count it as income. Your parents currently provide for most/all of your expenses, and you would like to begin contributing toward your own costs. You would like to save for college or want to earn additional income so that you can study full-time. You are saving for a used car. You want to save for an emergency fund for healthcare. You expect to graduate someday and want to become self-sufficient. These are just some examples of valid answers. 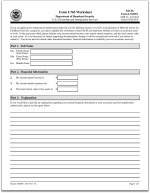 Use the space provided on Form I-765WS to describe your situation and economic need. How do I attach additional records to my I-765 application? What is “Status at Last Entry” on Form I-765?